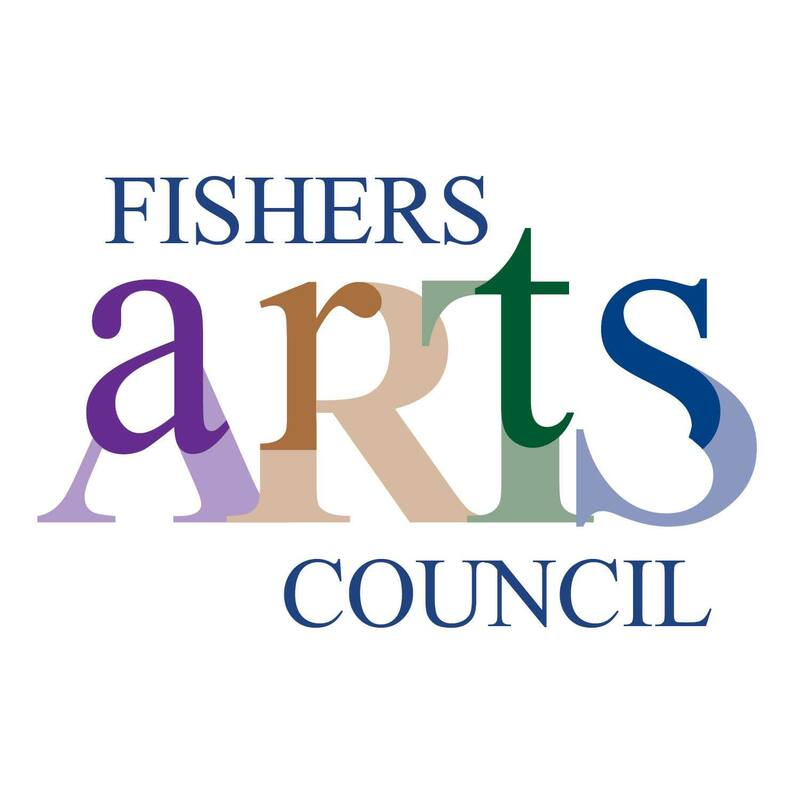 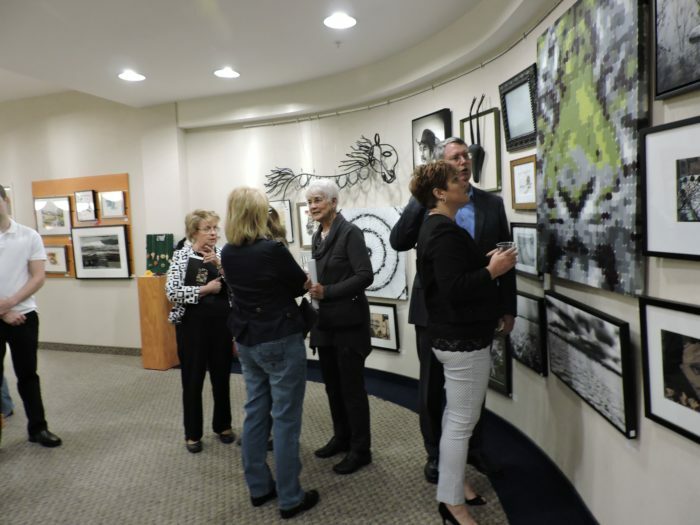 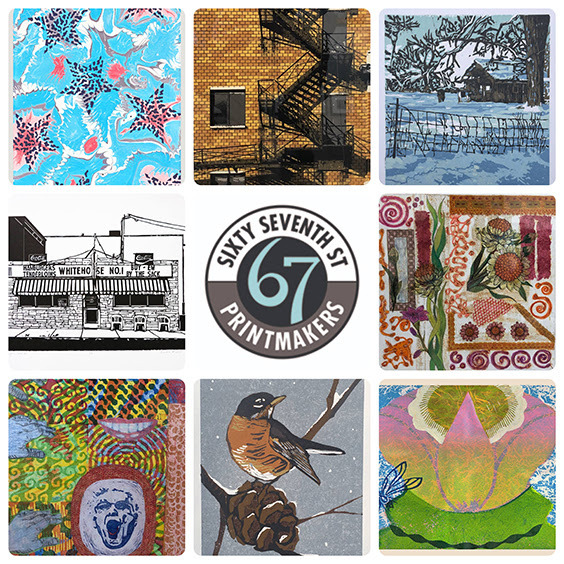 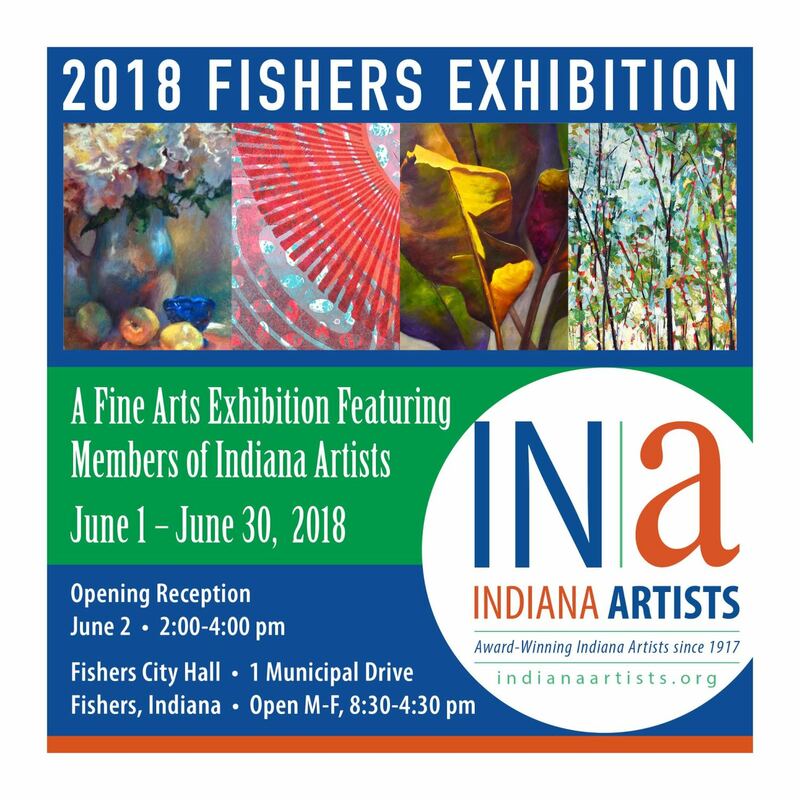 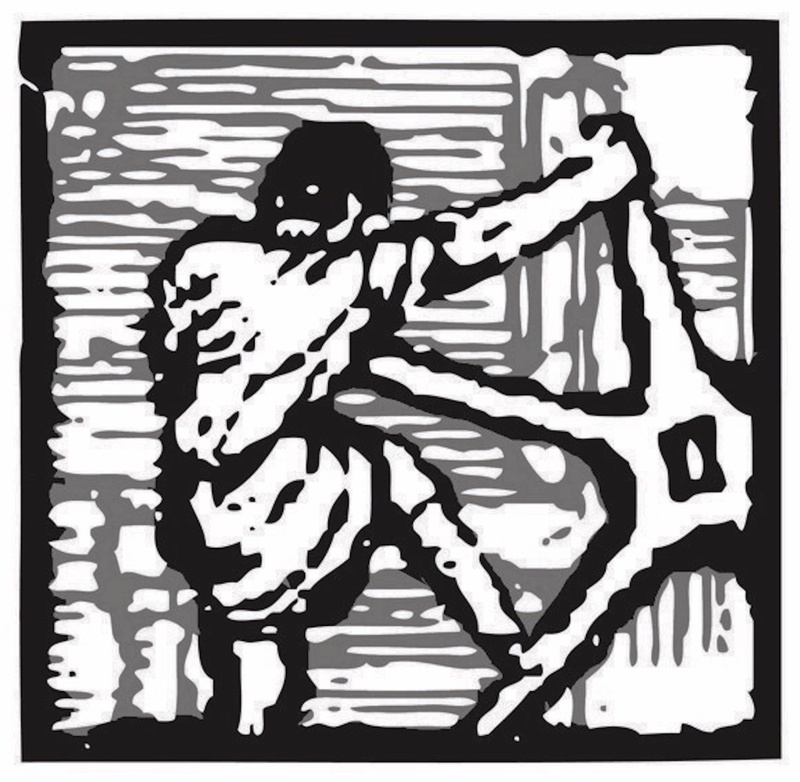 "Sojourn: Prints by 67th Street Printmakers"
Fishers City Hall, Fishers, In. 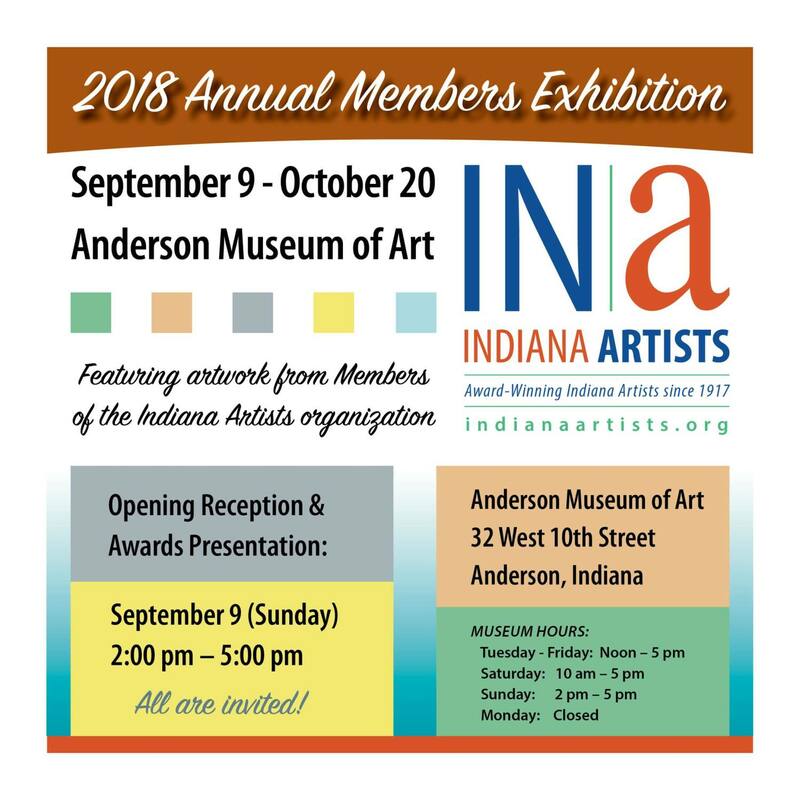 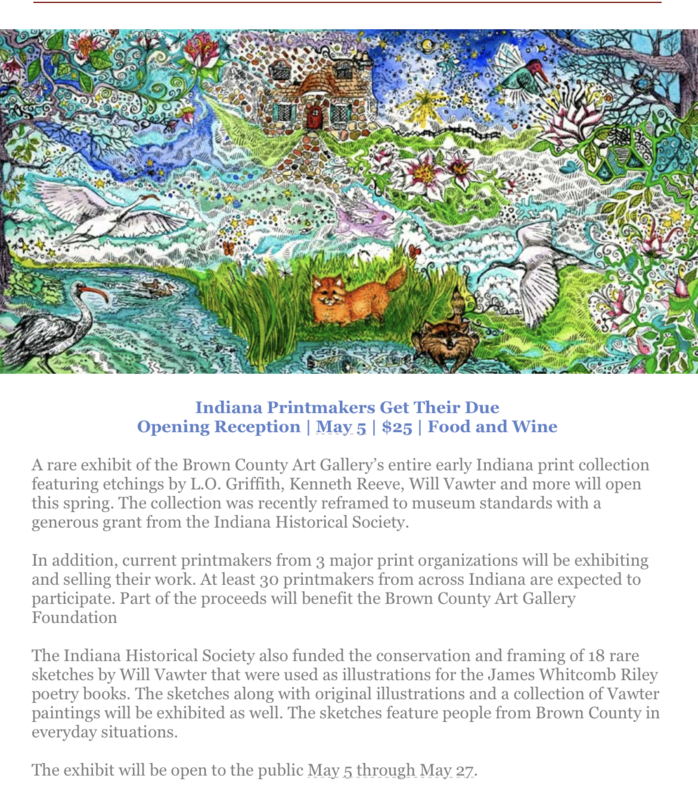 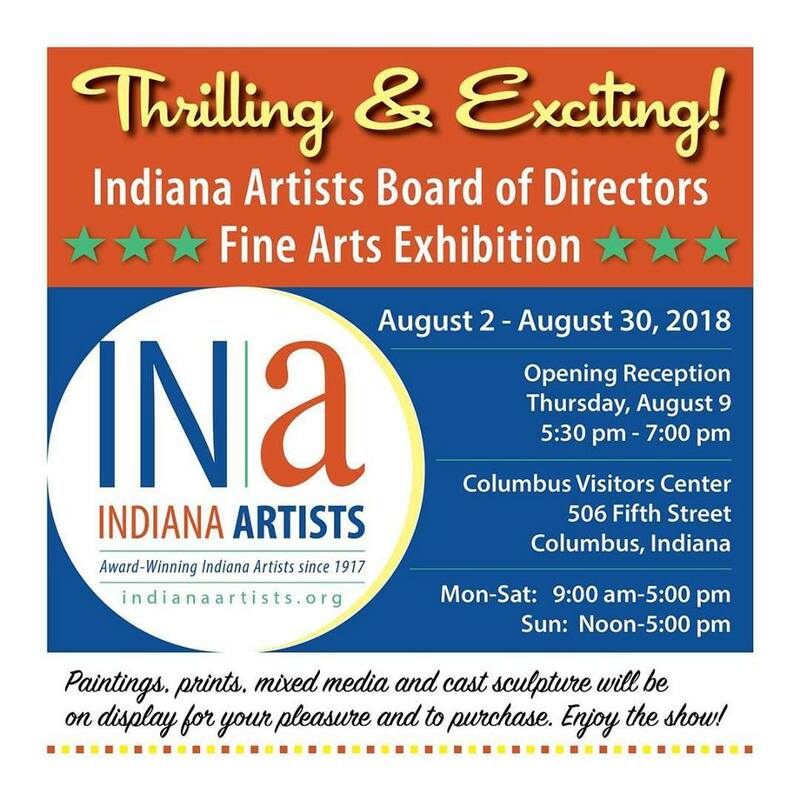 7th Annual Arts Gala: "IMPACT"
Sugar Creek Art Center, Thorntown In. 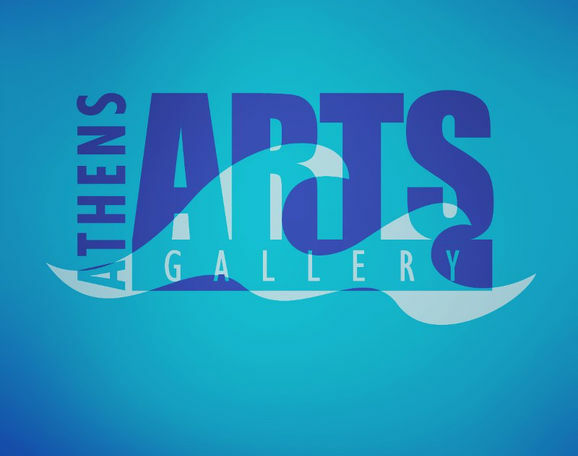 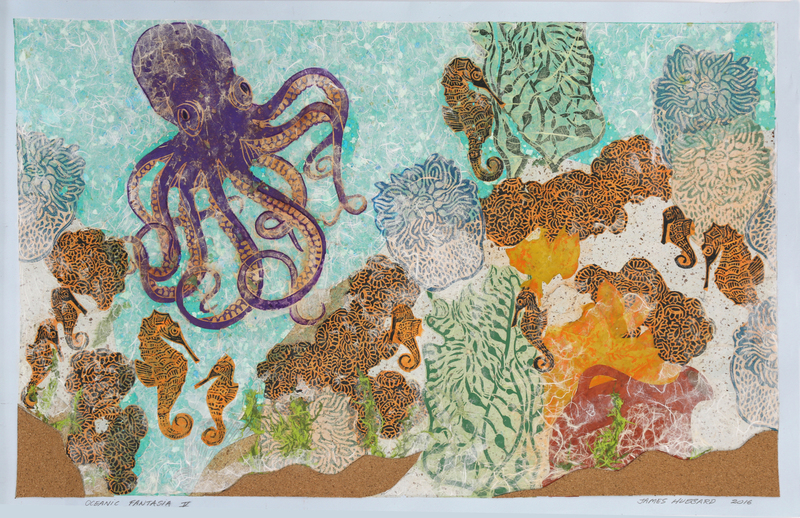 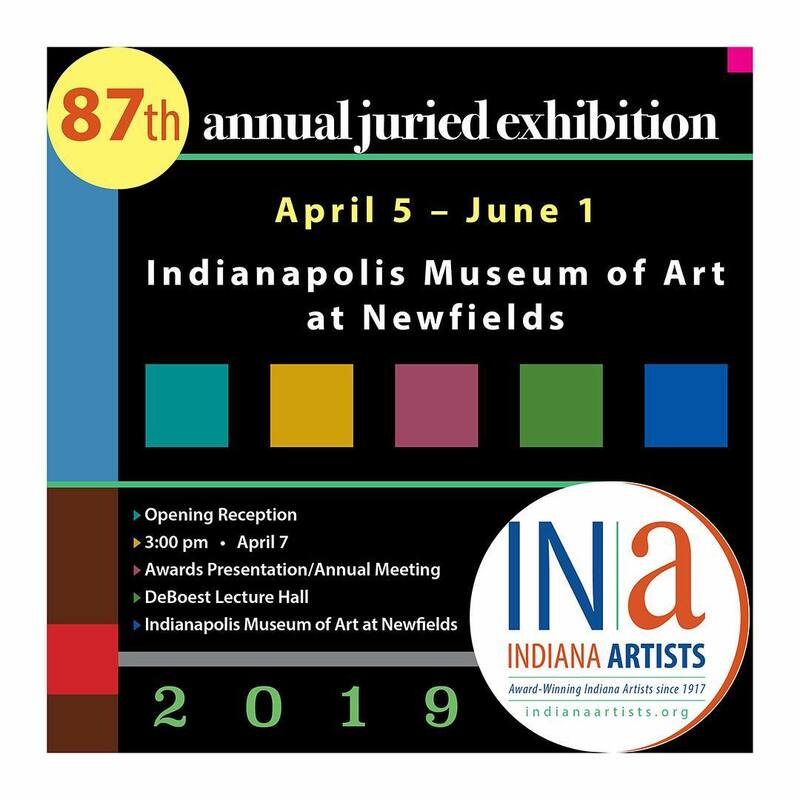 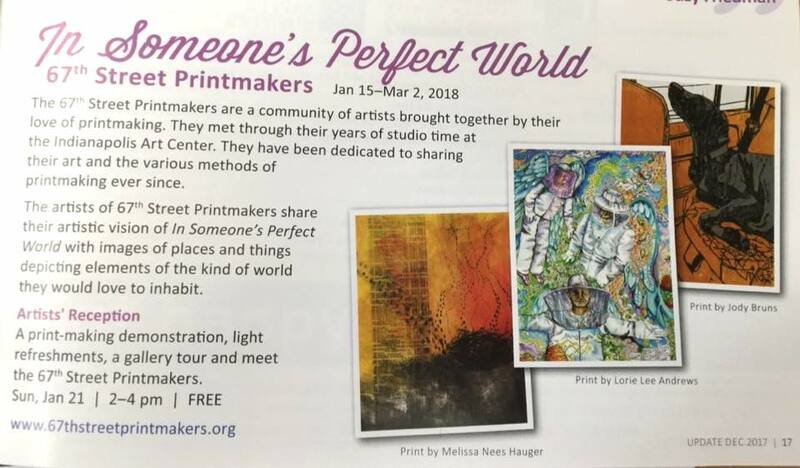 Opening reception: Thursday, April 4th 2019, 5 - 8 p.m.
Open Thursdays - Saturday, 11am - 5 p.m.
Saturday, February 9th, 2019 from 5 - 9 p.m.
Open Wednesday - Saturday, 12 - 6 p.m.
"In Someone's Perfect World: Prints by 67th Street Printmakers"
"Indiana Printmakers Get their Due"